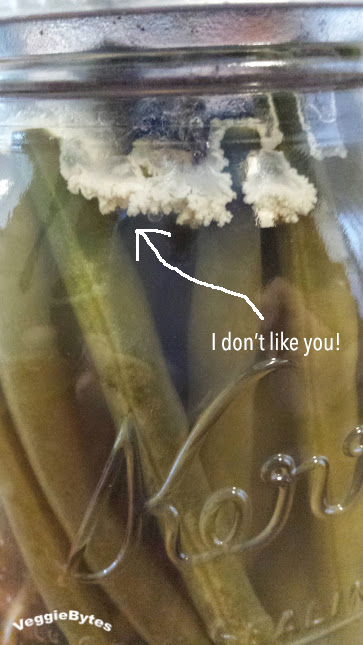 I had 2 Fermentation Fails this week! I even wondered if it was something I wanted to share or admit. 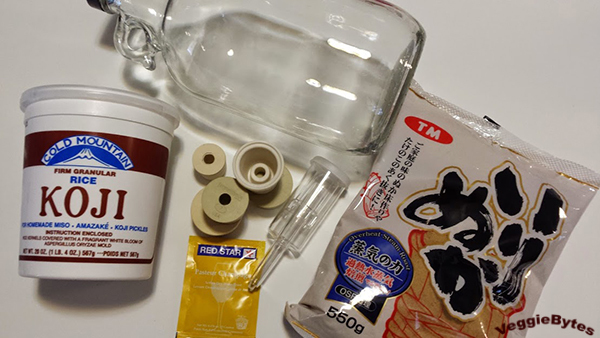 But since so many people are wanting to try fermenting at home and are hoping to find easy ways to do it, I guess it’s good to know what can cause problems and what things look like when they go wrong. The 1st fail was my village fermented mango pickle. #1 mistake -I found the greenest organic mangos possible at Whole Foods.They were still hard but I also left them on the counter for 2 more days to ripen. When I cut them up, one was already yellow. That means more moisture. #2 mistake – I left my bowl fermenting out at night. I think some creature may have sniffed it. #3 mistake – (not really my fault) It started raining 6 days in to my sunny ferment and all the moisture and humidity and lack of UV light promoted mold. The 2nd fail was my dilly green beans. #1 mistake – I did not weigh down the green beans in the brine. I thought the airlock would be enough. The resulting mold was quite a sight! 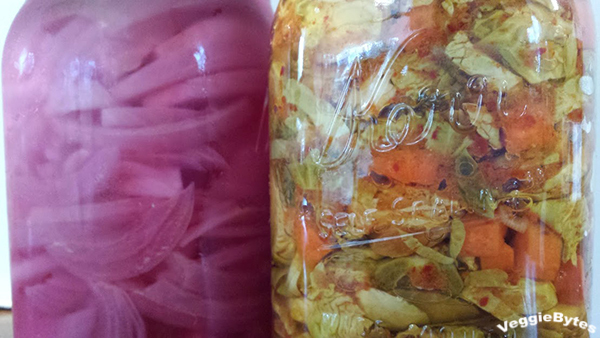 So fermentation is a continual learning process, like most things. I did not let this get me down! I’m going to order some pickle weights soon. Even though a couple things went bad, here are some items that turned out awesome! I’m also 2 weeks into the process of making lime pickle. I believe in the power of salt and citrus ! There shall be no mold! 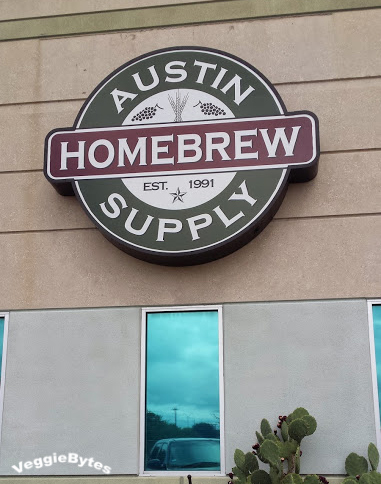 I also had a bit fun shopping at Austin HomeBrew. I spoke with Jeff and he was very helpful. 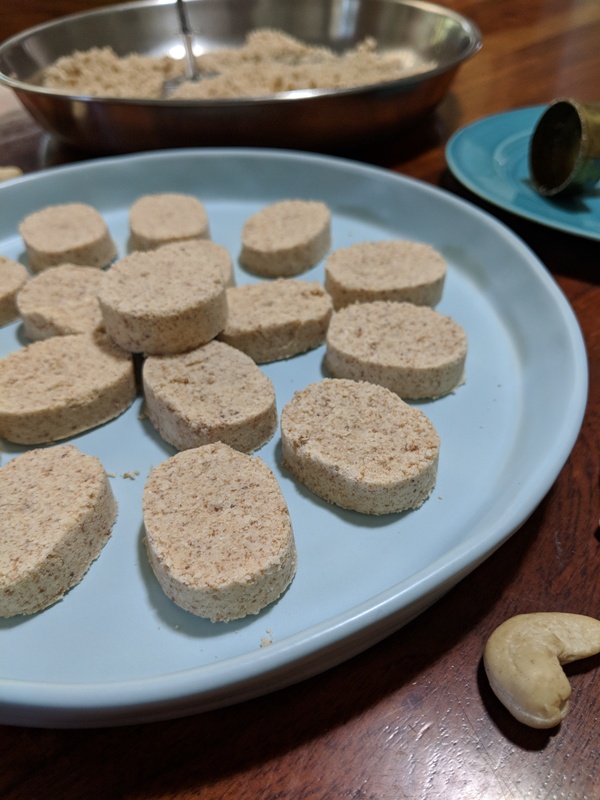 I told him I was interested in making tempeh and other fermented legumes and he talked to me about his koji experiments for 10 minutes. I bough some Koji kin there that is used for making sake. I’m actually more interested in making Amazake. 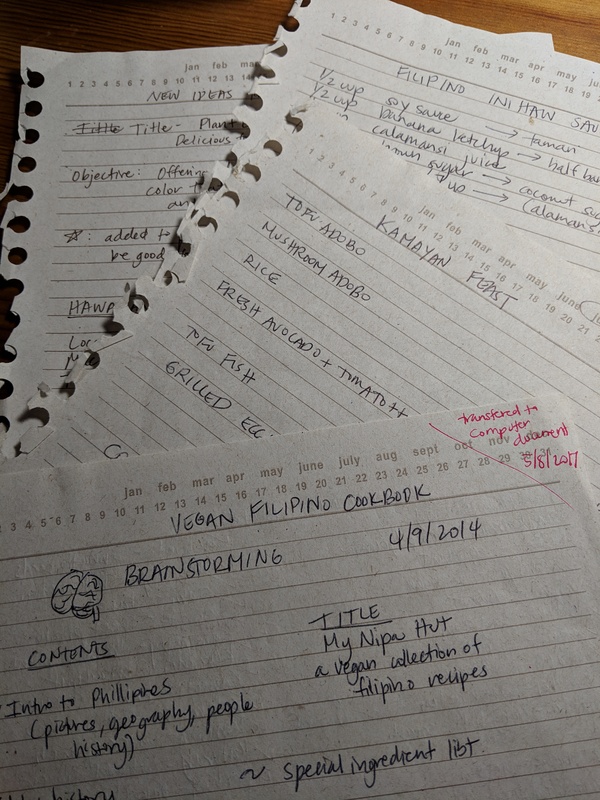 I mentioned to him that it would be great if they carried other fermentation supplies, like water kefir starter, tempeh starter, pickle weights, crocks etc. I personally think that other forms of fermenting would have just as wide an audience as beer making. 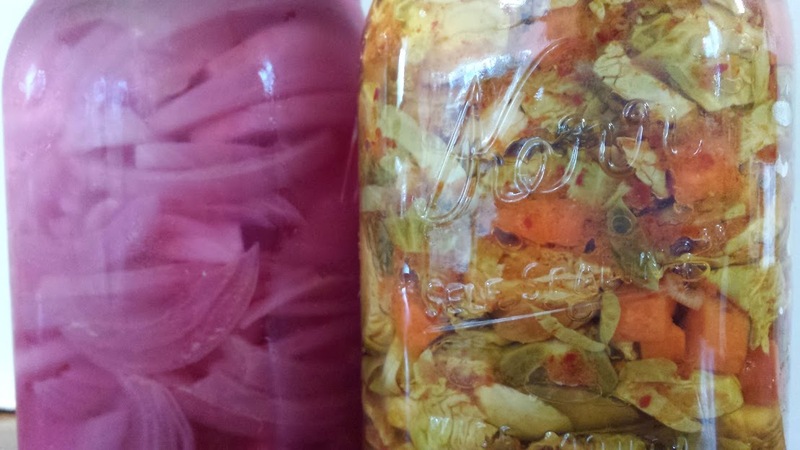 Maybe I should open a fermentation store! I picked up some different rubber stoppers to fit various growlers and juice bottles. I also went to Asahi (Japanese grocery) to pick up some Koji and also some rice bran to make a type of Japanese tsukemono (pickle) called Nukazuke. I love pickled daikon in rice bran but it’s hard to find it without preservatives. I’m going to make some Oyster Mushroom sandwiches for dinner and eat them with pickled onions! 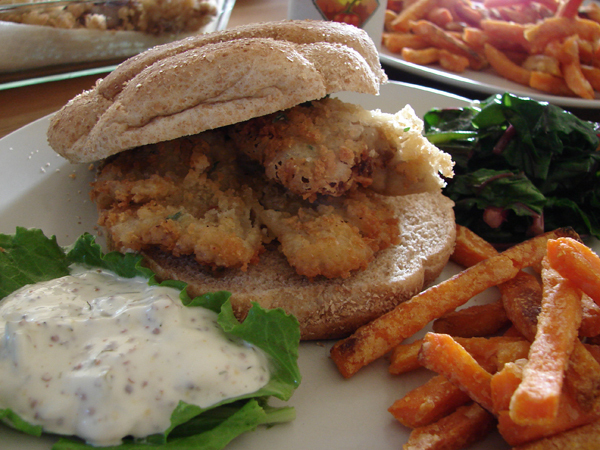 So to keep my Friday post from becoming a Saturday one…here’s a pic of the sandwich in 2008 from my Flickr feed. I’m off to cook now! Have a great weekend! A fermentation store would be awesome! Loving reading about your experiments! Thanks Nicole! The world of microbes is very interesting to me!